In previous posts I’ve written about why being “BPA FREE” isn’t good enough. Basically what a product IS made from is what counts, not what it’s NOT made from! There’s ample evidence of what are lovingly called “regrettable substitutions” where the replacement material was no better and in some cases actually worse than the original it replaced. 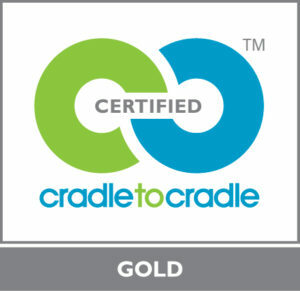 This is why you should look for (and ask product makers for) products with the Cradle to Cradle Certified(TM) logo – preferably at the Gold level or above. www.C2CInstitute.org keeps a list of certified products. Unless we let manufacturers know we want products made using Cradle to Cradle design principles so they can cycle safely in a sustainable circular economy they won’t know this is important to you. Help us add to the list – contact companies you buy from and let them know you want to see their “Material Health” score using the Cradle to Cradle Certified Products Program.